Greg Roberts has joined Van Conway & Partners LLC, a Birmingham-based financial advisory and business consultancy firm, as senior managing director. Roberts has more than 35 years of senior level and industry experience in alternative capital structures. 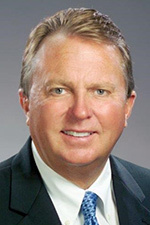 He has participated in the evaluation of hundreds of restructurings and recapitalizations in a variety of industries, including automotive supply, steel service centers, beverage distribution, contracting, wholesalers, retailers, and commercial real estate. Most recently Roberts served as executive director at Conway Mackenzie. Prior to that he served in management positions in Commercial Lending at The Private Bank and Trust Company, LaSalle Bank Corp., and Comerica Bank. Roberts, of Clarkston, earned his Bachelor of Science and Arts in accounting and finance from University of Michigan Dearborn.